I chose this item because I ordered theater popcorn to make with it..looks really good...no more buying at stores...this is the way to GO..great customer service..everything delicious..what are you all waiting for? They seemed like great gifts. I much prefer homemade stovetop popcorn, so this is a Christmas present to myself. I have one of these that I have had for years and I need a new one. I found this in your catalog and decided to order from you, haven't found it anywhere else. I selected this Popper because it is like the one we had as a kid. 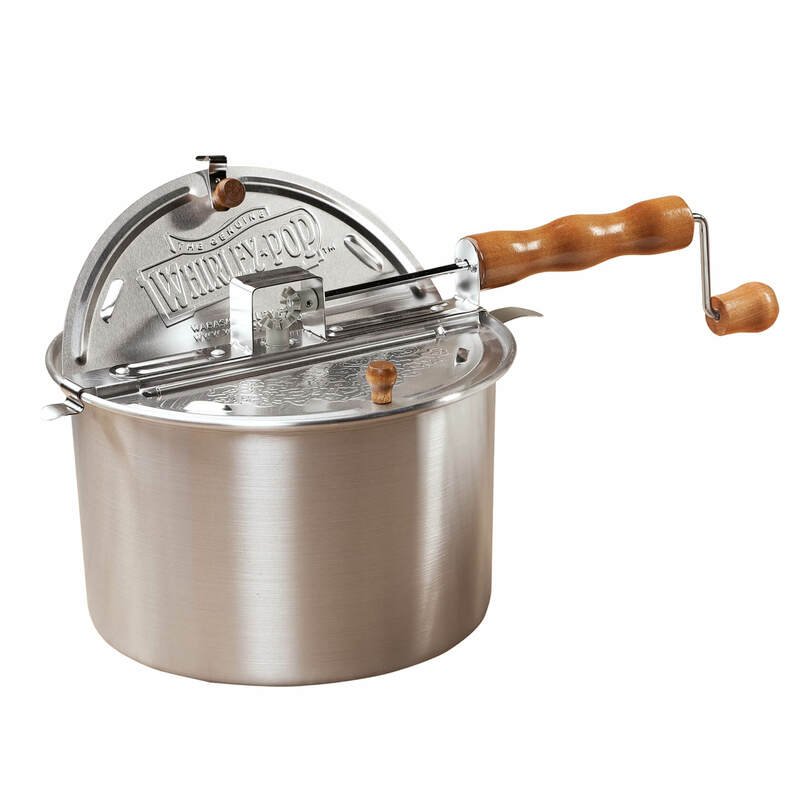 Love that it can be used on the stove and that it has a handle to stir the bottom of the pot! I ordered a number of Christmas ornaments as well. I always get great service from Miles Kimball, but tonight the phone staff were not so helpful when I questioned why I did not get a reduced credit for 5 ornaments when it said it would. It was too big of an order to give over the phone, so I just ordered it anyway. 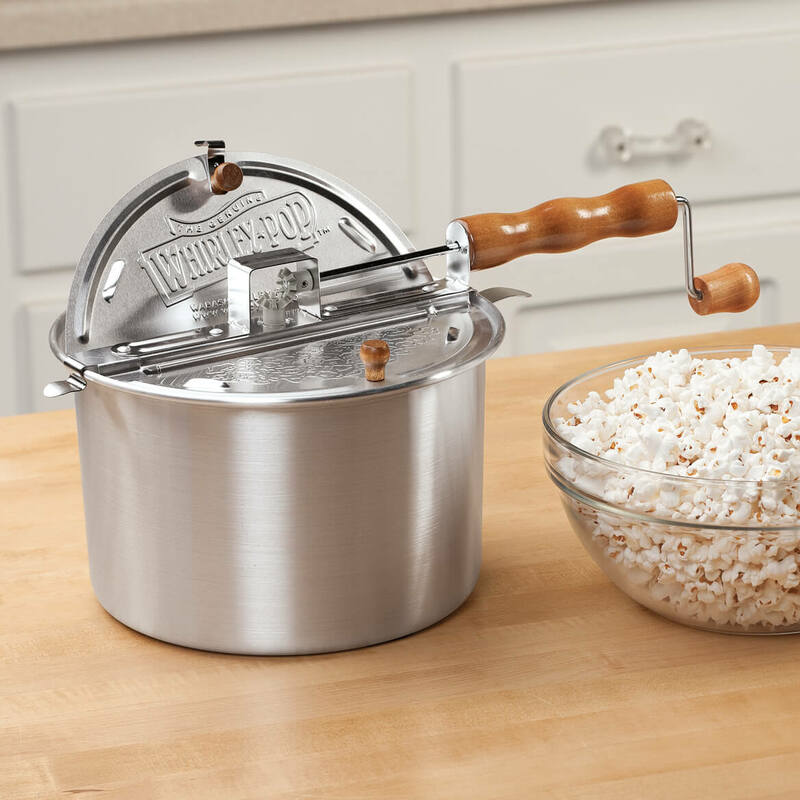 Can the Whirrly corn popper be used with electric stoves with flat glass tops? BEST ANSWER: Thank you for your question. Yes, you can use this on that type of stove top. We hope this information will be of help to you. BEST ANSWER: Thank you for your question. The popper is manufactured in China. We hope this information will be of help to you.